The world’s largest island is part of the Danish kingdom though it has its own Home Rule. Greenland – the very name conjures up pictures of emerald green icebergs, Arctic tundra and the massive, ever-present ice-cap which covers most of the interior. Greenland is indeed all of this, but has much more to offer. “Variety” is the word that comes to mind as you travel from south to north. Over a distance of roughly 2,500 kilometres, the climate and landscape change dramatically. 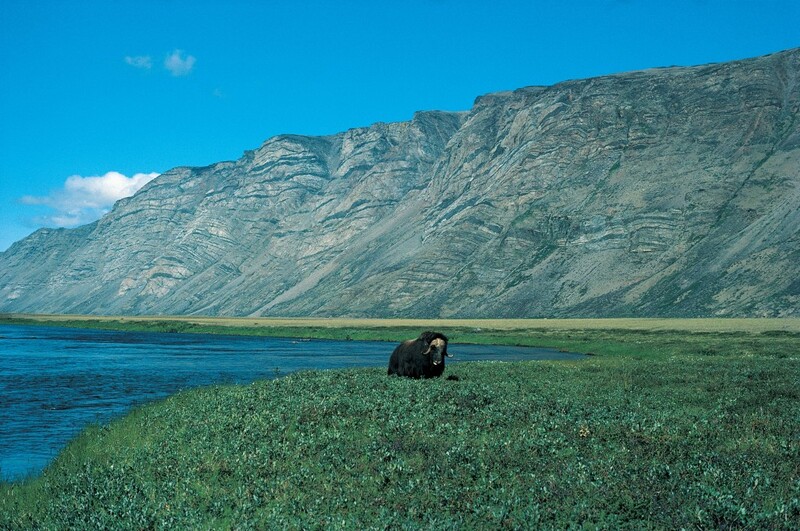 In the south, near villages like Narssaq, Narssarssuaq and Nanortalik, a touch of the still-warm Gulf Stream produces a relatively mild climate in which sheep graze lush green pastures. Further north, beyond the Arctic circle in the Sondre Stromfiord area, the lush green pastures give way to arid and brown Arctic deserts. Such is the variety that no two parts of Greenland are alike. Geologically speaking, Greenland is a young country. In terms of lakes and rivers, this means that most drainage systems are either very short or consist of several deep lakes connected by short, steep-gradient stretches of running water. Thus the angler must not look for smooth-flowing rivers with classic pools up here! 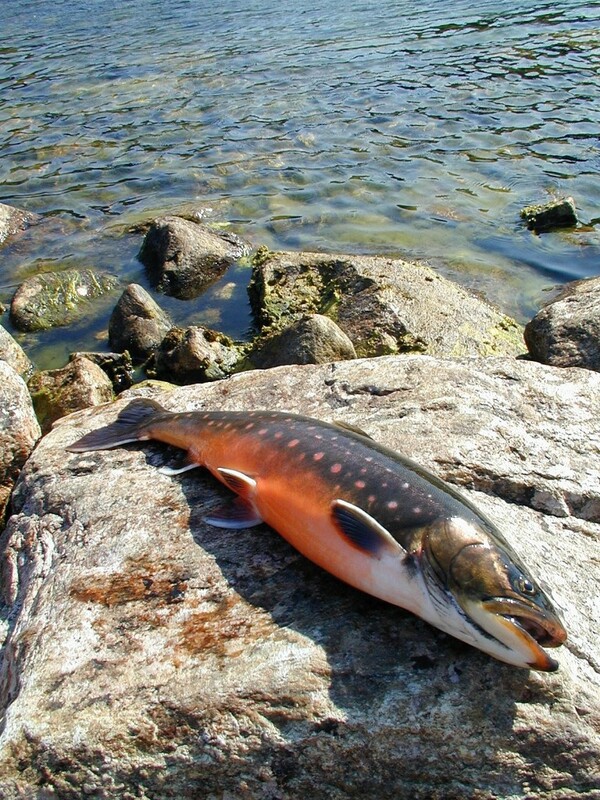 Only two salmonid species inhabit the rivers and lakes of Kalladlit Nunaat, as the Eskimos call their country – the Atlantic salmon and the Arctic char. 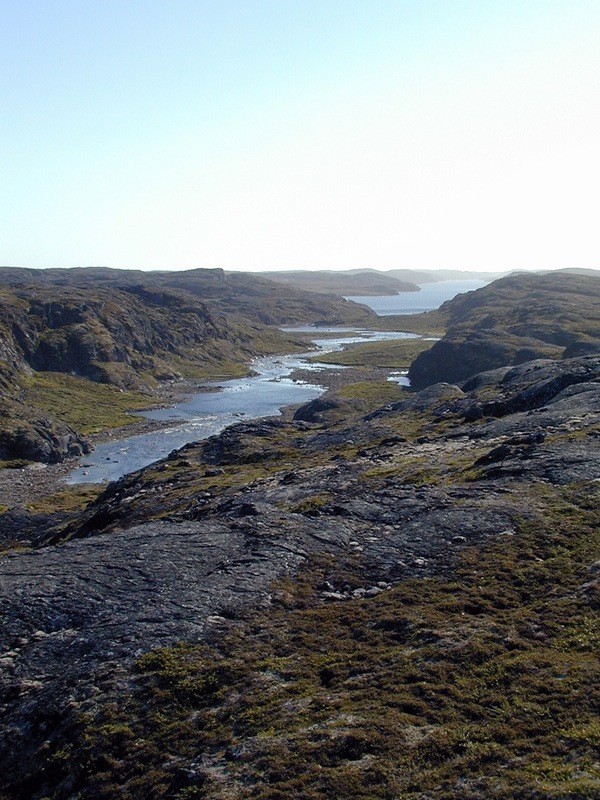 And to cut the story even shorter, the Atlantic salmon inhabits only one of the many thousands of watersheds found in Greenland – that of the Kapisigdlit River at the bottom of the long Godthaabsfiord and very close to the inland ice. Why this is so remains a mystery. Amid much speculation, some researchers have tried to transplant the Kapisigdlit salmon to other nearby rivers, but so far with no success. When driftnetting for Atlantic salmon was begun in the Davis Strait between Greenland and Canada in the 1960’s, it was decided that the mystery of the Kapisigdlit salmon should be solved once and for all. From the recapture of tagged salmon in the waters off Greenland, it was found that some 40-50% came all the way from Europe to feed in the rich Davis Strait, while 50-60% came from North America. Less than 1% were from local stocks. Since the Greenland offshore fishing fleet harvested fish almost exclusively from other nations, and since Denmark had already ruined all its original salmon rivers by damming, channelization and pollution, increasing international pressure forced the Danish government to take action. World famous crooner and salmon fly fisherman Bing Crosby was one of the prominent persons to voice his opinion against the Danish salmon pirates. The “Salmon War”, as it was called by some, finally culminated when the US government threatened the Danish with a trade embargo, if they did not stop stealing other nations’ salmon off Greenland! Thus forced to take action, the Danish authorities in 1971-72 assigned an American fisheries biologist, Robert F. Jonas, the task of investigating and evaluating the river systems of Greenland as potential new waters for Atlantic salmon. 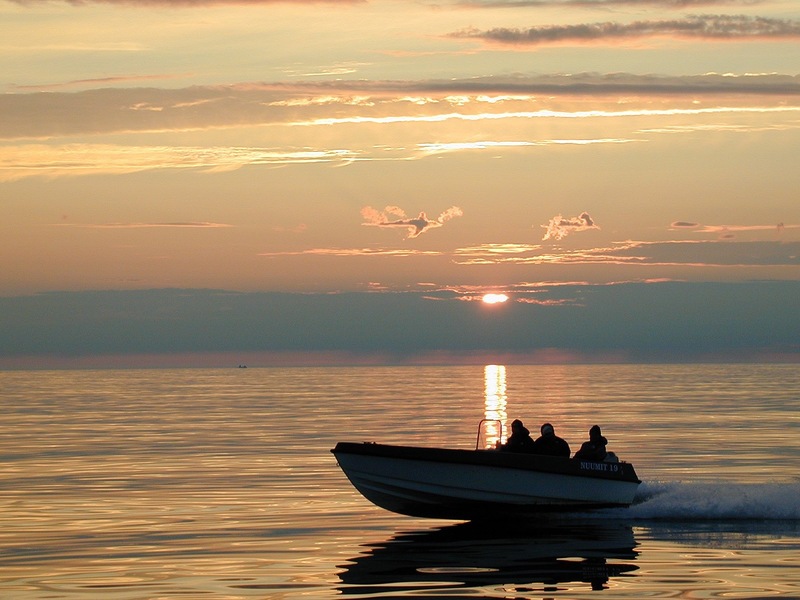 The intention was that if local stocks could be improved significantly, then that would justify at least a moderate Danish salmon-fishing effort in the Davis Strait. Unfortunately, Jonas soon rached the conclusion that this could not be done. 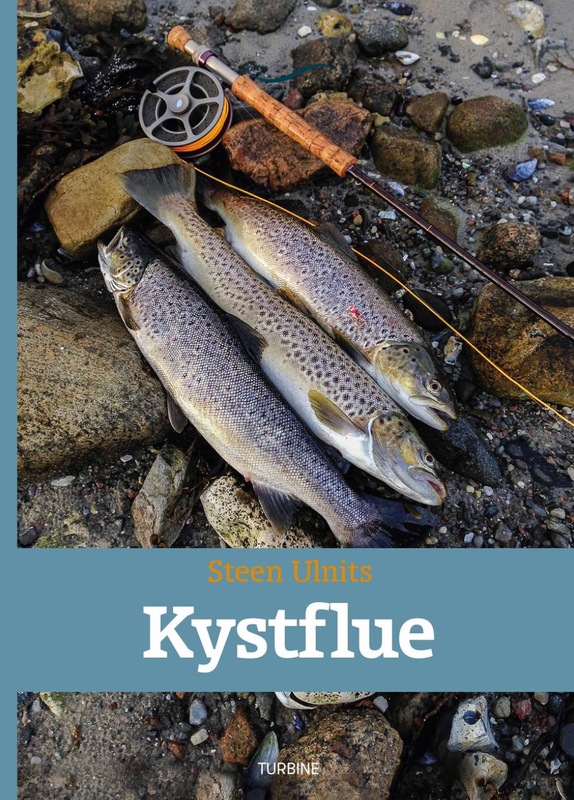 Due to the nature of Greenland river systems – steep gradients, lack of spawning gravel and the ice-cold, almost sterile water found everywhere – it is a wonder that even one stock exists! It is simply there as a highly valuable relict from the last Ice Age. 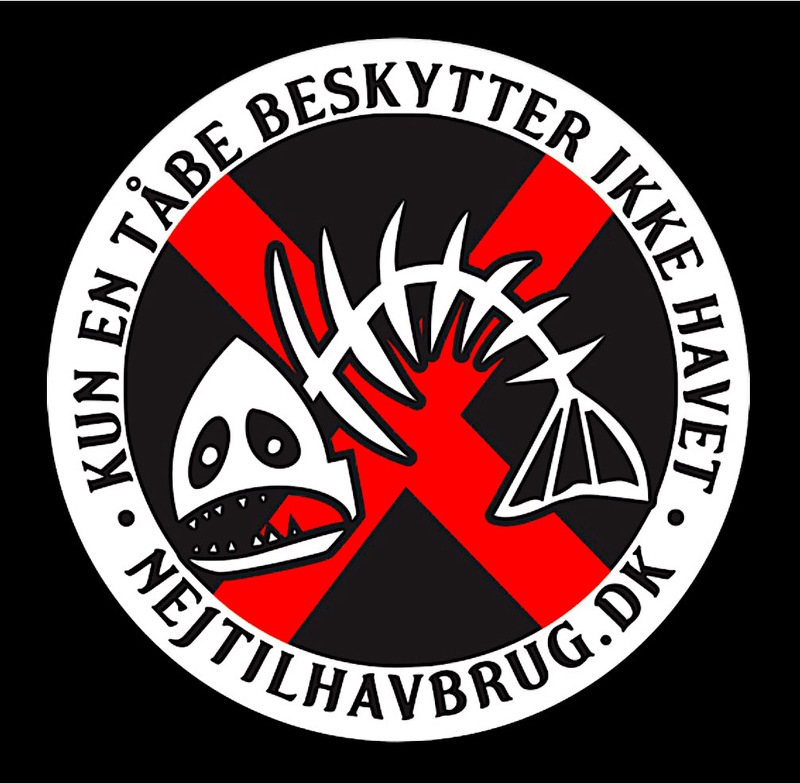 The Danish government reluctantly accepted that the Danish offshore drift-netting should be drastically reduced, starting in 1973. The “Salmon War” thus came to an end. Another positive result was that heavy restrictions were put on the Kapisigdlit River fishery. No more netting or snagging was to be done by local Eskimos. It was finally recognized that this small and unique stock of Atlantic salmon should be protected. Today, only sportfishing is allowed, although some poaching still does take place. In 1984 an multi-governmental organisation by the name of “NASCO” was established. Its main aim was to set quotas for the high seas harvest of Atlantic salmon so that stocks would not be depleted. Thus each country was assigned a specific quota not to be exceeded. Unfortunately NASCO turned out to be a paper tiger, and eventually NASCO failed to agree on a quota for Greenland. Enter Orri Vigfusson, a businessman and salmon flyfisherman from Iceland. 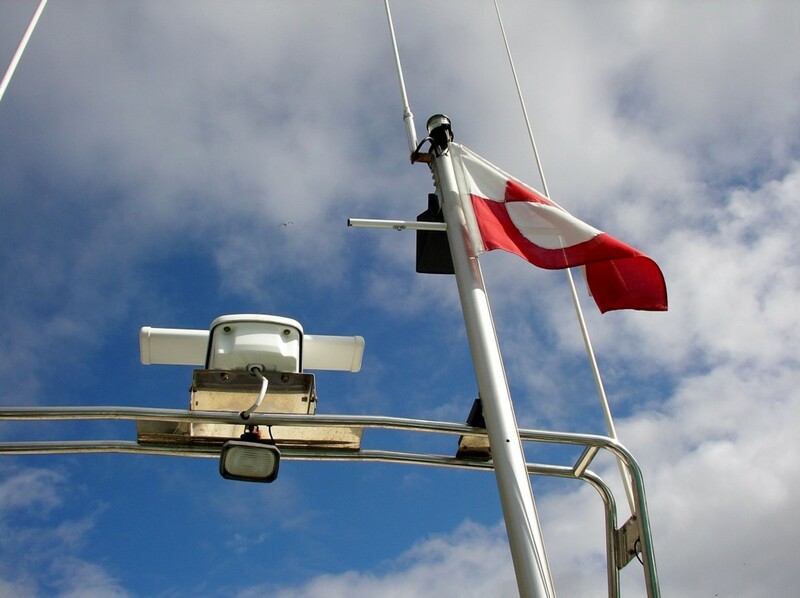 Orri was used to dealing with fish quotas, and when Faroese vessels in the 1980’s started taking large numbers of multi seawinter salmon off the coast of the Faroe Islands, he immediately took action. They were catching “his” salmon! After establishing his now famous “North Atlantic Salmon Fund”, he negotiated matters with the Faroese net fishermen and finally reached what he wanted: a complete buy-out financed by private means. The year was 1991. After this victory Orri realized that NASCO had failed in reaching a reasonable quota for Greenland. He also knew that very few salmon were swimming around in Greenland waters – in fact so few that the Greenlanders had no chance whatsoever of catching their old quotas. With this in mind Orri took action. He went back and forth between his home in Iceland and the Greenland Home Rule in Nuuk, Greenland and in 1993 finally reached his second victory – the Greenland buy-out. This was not easy as the KNAPK, the Greenland Hunter and Fishermen’s Association, was very reluctant to give up old rights to the resources of Greenland. Eskimos are proud people, but Orri skilfully managed to come up with an agreement that both parties would benefit greatly from. Thus, where the official bureaucracy of NASCO failed, the private funds of NASF succeeded! My first Kapisigdlit River salmon! I shall never forget my first Atlantic salmon from the Kapisigdlit River, since it left me with painful memories for almost two weeks. I had fished this strikingly beautiful river two years earlier, but had caught only Arctic char and, eventually, a few fat and healthy-looking salmon parr. The Kapisigdlit River watershed consists of some ten smaller and larger lakes connected by short stretches of fast water. From the river mouth to the first lake is a distance of some 500 metres, most of it so fast that it is absolutely unfishable. 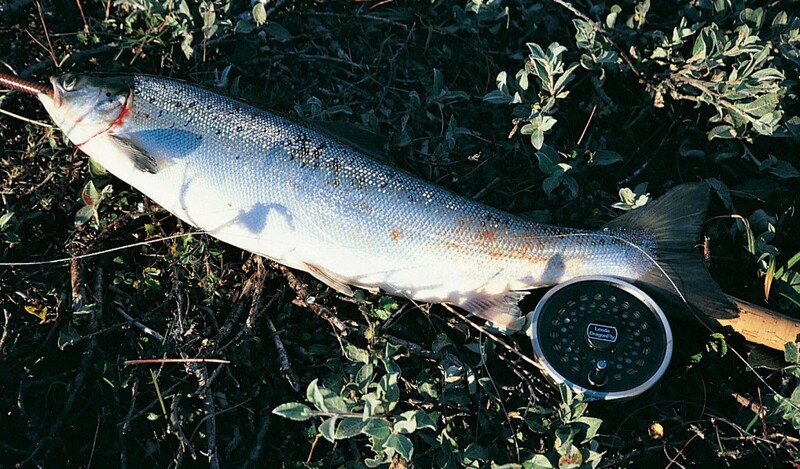 The outlet of the first lake provides possibly the closest thing to a “classic” salmon lie. Towards the far bank, no more than 10 metres out, just where the water starts gaining speed, both salmon and char often rest after having negotiated the rapids below. As I waded the outlet, a fiery salmon grabbed hold of my size 8 double Bloody Butcher hairwing, jumped twice and then ran for the rapids. Trying to follow the fish, I stumbled, grabbed for a slippery rock to regain balance – and wrung my left thumb backwards so much that, for a moment, I forgot everything about that salmon! Fortunately, the fish decided to stop before the white water, giving me time to gain at least some kind of control. Shortly afterwards I was able to grab hold of the fish, a silvery grilse of some 4 lb, absolutely fresh from the sea. It must have looked strange indeed, since my left hand was now out of action and I had to squeeze the rod between my left arm and body to leave my right hand free! Having reached the shore, I dispatched the fish and took a look at my thumb, now swollen and looking bluer every minute! It hurt for two weeks and didn’t regain full strength until months later. So, you bet, I remember my first Atlantic salmon from Greenland! In 1979 we witnessed the establishment of the Greenland Home Rule, which now has taken over most of the decision-making regarding local matters. And now, after more than 20 years, salmon is again on the agenda. The long coastline of Greenland, though warmed by the tip of the Gulf Stream, is unsuitable for the farming of salmon in floating net-cages as it is practised in Norway, Scotland and Canada. Drifting icebergs and sub-zero water temperatures during winter make this an impossible proposition. Instead, southern Greenland might be a good place for strict sea-ranching of the Atlantic salmon. The area being located so close to the feeding grounds of the Davis Strait, rich due to the Arctic convergence found here, artificially-reared salmon smolts could be released to feed and grow offshore. The rapidly growing salmon would then either enter the catches of the local driftnetters offshore or could be caught when returning as mature fish to the place of their release. The above mentioned technique has been successfully practiced in nearby Iceland and in the Baltic Sea. But so far the Greenland Home Rule has not had the necessary amount of money to spend on this possibility – or the will to do so. From the foregoing it will be realised that a trip to Greenland in pursuit of Salmo salar will stand a good chance of failure. The single stock in existence is small (the total stock is counted in hundreds, not thousands!) and its runs irregular. Add to this the high risk of low water in the river, which often delays the run significantly. 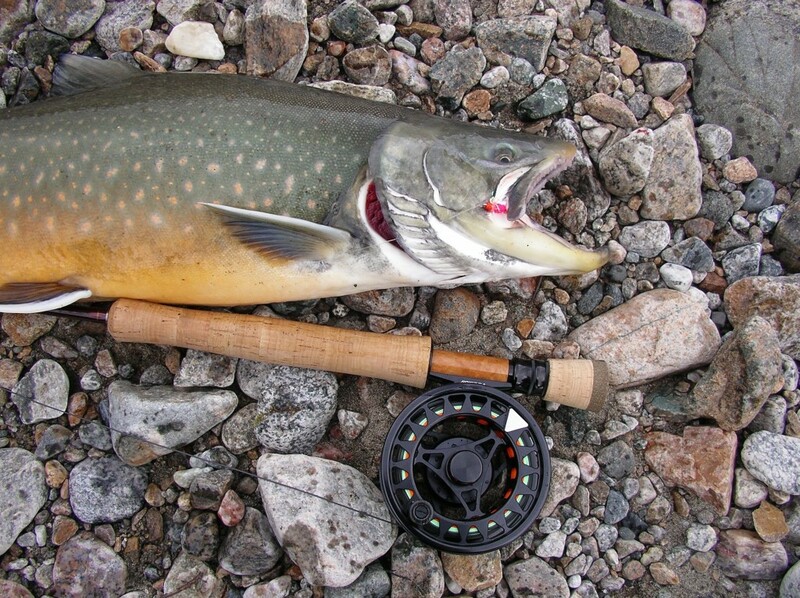 A much better object would be to fish for the ever-present Arctic char, Salvelinus alpinus, which, with very few exceptions, is found in every river and lake from south to north. Most rivers support good stocks of migratory Arctic char which run in July-August and weight individually up to 10 lb, though averaging perhaps 3 lb. But though char may seem plentiful, their growth under Arctic conditions is slow. This is due to the fact that the fish spend each winter in the almost sterile lakes, where they suffer a substantial weight loss before they return to the sea in May-June, depending on ice conditions. Their feeding period at sea is short, as most fish have to enter the rivers again to spawn in late August-early September. 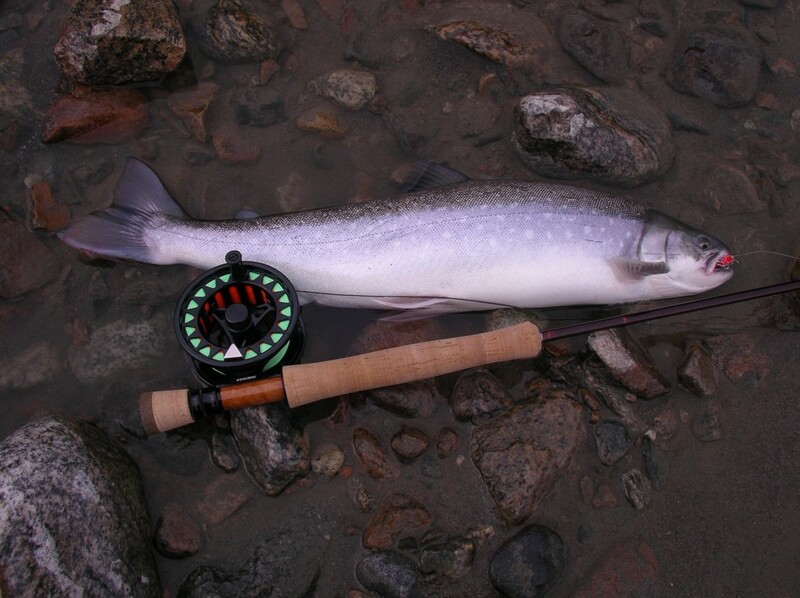 Thus, before adding to its weight, the sea run Arctic char has to regain the weight lost during the winter. As a result, a 2 lb fish may well be 10 years old, and stocks are therefore vulnerable to overfishing. The inevitable result is seen near major centres of population, where excessive netting has cut away all the larger fish, leaving only the smaller fish up to 2 lb. This is bad indeed when you consider that Greenland is now in desperate need of income from the newly started eco-tourism which of course includes sportfishing for the ever present char. This may sound rather unappealing to future fishing tourists but should be viewed in the light of local Eskimo tradition and culture. For centuries Eskimo tribes have used local river systems as a welcome and very important food supply for the winter, catching, salting and smoking the delicious Arctic char. A common practice has been to block the rivers and catch most of its inhabitants. After emptying a river in this way, the fishermen will then move on to another river. Often it has been decided that such an outfished river should be left unfished for a period of three years for stocks to recover. A policy which is understandable from the point of view of an Eskimo. But at the same time a policy not compatible with angling tourism. So what the Eskimos are doing today is what they have always been doing. The difference being though, that today they have both fast motor boats and invisible monofilament nets. Add to this the simple fact that a Greenland Eskimo is no longer dependent on the outcome of this fishery. Today it is done mainly as a continuation of old traditions – and as pure recreation. The Greenland Home Rule seems to be slowly realising that things have changed and that Eskimo culture will have to change accordingly. That is, if they really want their share of eco-tourism – the lucrative angling part. If so, they will have to ban netting for char, at least in those areas set aside for angling tourists. From a fisherman’s point of view, stocks of sea-run Arctic char may be divided into two categories, depending on size, way of living and type of food. 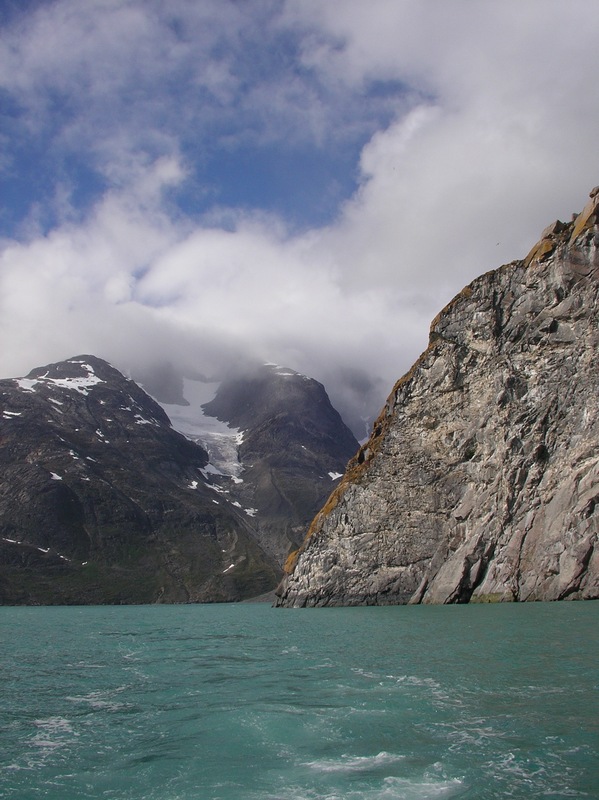 In the Sondre Stromfiord area for instance, most fish swim far and feed primarily on baitfish in the milky, glacial waters off the coastline. This results in strong fish often weighing 6-8 lb. When you gut one of these strong and silvery fighters, their white or, at best, lightish-pink flesh may come as a surprise. Most Greenland Arctic char seem to belong to the other group, feeding closer to their rivers of birth and gorging themselves mainly with various crustaceans and some baitfish in crystal clear water. These fish seldom reach more than 6 lb, with most of them substantially smaller. But as a compensation for their smaller size, their flesh is firm and unbelievably red! These are the fly-rodder’s favourite fish – and the chef’s too! Greenland’s rivers being fast and short interspersed with deep lakes, you will have no classic pools, runs and glides to fish. Instead the fish tend to stack up in deep holes – often below waterfalls that are difficult to ascend. As the season progresses – especially if we have a dry summer preceeding a winter with little snowfall – more and more fish congregate at such places, and under the right conditions they may be so easy to catch that I loose interest after a few fish. Char also tend to congregate at the upstream ends of lakes, where spawning often takes place in shallow water. Arctic char do not dig nests as do fish of the genus Salmo. Instead, they gently sweep their eggs into holes and crevices on the bottom – a fascinating play to watch from a point above. This spawning behaviour is one reason why char thrive in waters where Atlantic salmon do not. Salmon simply do not have access to suitable spawning grounds in Greenland rivers. Another reason is the water temperature which in most rivers – except that particular one at Kapisigdlit – is way too cold for salmon to survive in. In Kapisigdlit the long pearly chain of shallow lakes exposed to the sun helps warm the water to surprisingly high temperatures. Strangely enough, the proximity to the inland ice also helps. The massive ice cap helps maintain a dry and sunny climate during the summer months. All in all these conditions work together in creating a unique environment at Kapisigdlit where Atlantic salmon are able to live and reproduce naturally. And though stray salmon are caught in other rivers from time to time, only here are they permanently present! 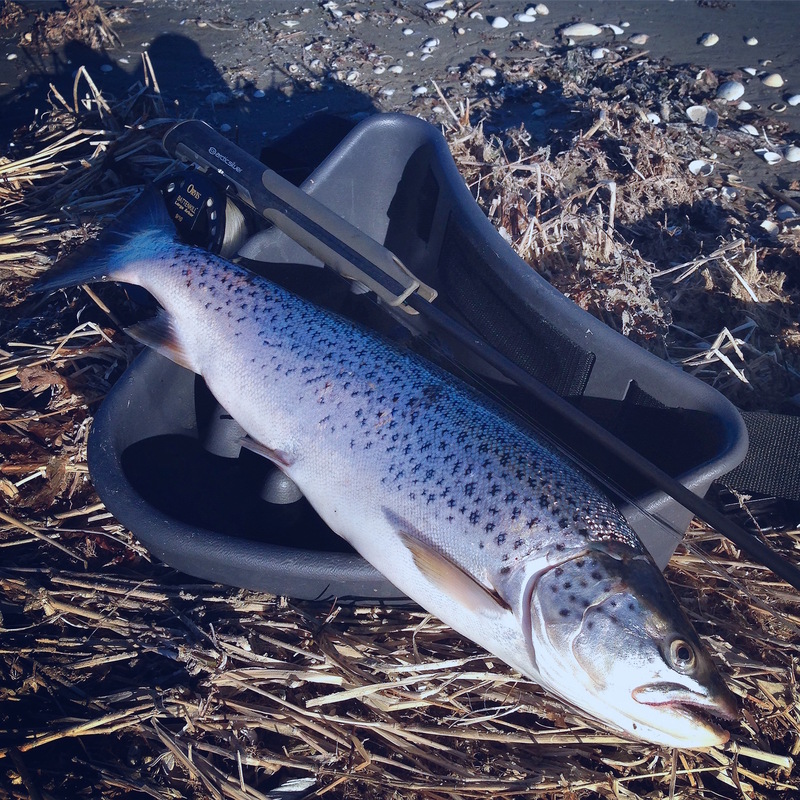 If you want to try your luck with the Atlantic salmon of the Kapisigdlit, bring along a 9 foot rod for a floating 7-8 weight line. Add to this an assortment of single and double hooked flies size 6-10 of your own preference. All black flies catch their share of the salmon, but I have done well with gaudier patterns like the Bloody Butcher, the Silver Doctor and the Green Highlander – all tied as hairwings. Expect most of the fish to be grilse in the 4-6 lb range. Only rarely do the Kapisigdlit salmon exceed 8-10 lb. When fishing for salmon, focus your attention on the shallow water around inlets and outlets in the lakes. When fishing specifically for char, probe the deeper holes with sinking lines and gaudy patterns like the Mickey Finn and various orange-red shrimp patterns. If you are very lucky, you may also experience some dry fly fishing for migratory char way up in the rivers. I have only witnessed this once in the several years that I have fished Greenland, but the fishing was fantastic! A whole school of 2-6 lb char rose steadily to tiny mosquitos in a small pool with very calm water. The action lasted for a couple of hours that I shall never forget. So bring a few dry flies too – just in case! Add to this the splendour of fishing amongst drifting emerald icebergs, and you know why Greenland holds a strong attraction with those that have been there. An attraction that has kept me coming back for more than twenty years since I first visited Greenland in 1974. Whether you are a business man passing by or simply a tourist, your port of entrance to the Scandinavian countries will be Kastrup airport just outside of Copenhagen. This is where most international flights leave and land. From there it is easy to proceed to Greeland, flying SAS to Sondre Stromfiord (previously a military base run by the US). From here on you have to proceed in fixed wing airplane or helicopter to the city of your choice on the westcoast. Click here to see more pictures from Greenland.